Insects and Invertebrates, Oh My! 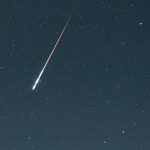 Perseids Meteor Shower Lights up the August Sky! The Perseids Meteor Shower Lights up the August Sky! Listen now! Summer is here and it is one of the best times of the year to get outside and see the night time sky! 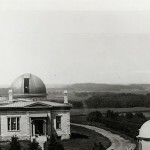 Astronomers at UW Madison offer several programs for the public to get involved in night time viewing, including the Universe in the Park program and at the Washburn Observatory. Listen now! 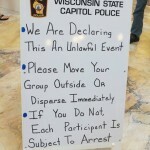 On Wednesday, Wisconsin State Capitol Police arrested people associated with the Solidarity Sing Along, a loose-knit group of Wisconsinites who gather to sing protest songs in the Capitol rotunda each day at noon. From the center of the Galaxy to the Large Hadron Collider (LHC), Black Holes are one of the most mysterious topics of astronomy and physics. 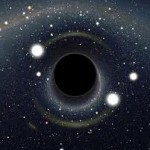 In this clip we discuss some aspects of black holes and why it is difficult to create one in the LHC. 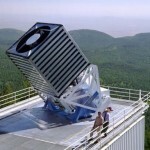 The Sloan Digital Sky Survey, Part IV: Revenge of the Sloan!